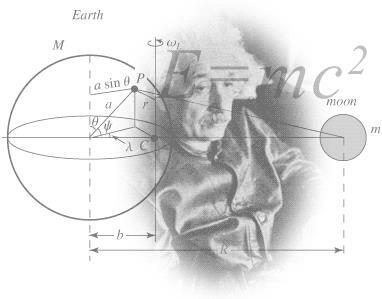 Physics is a fundamental science that endeavours to explain all the natural phenomena that occur in the universe. Its power lies in the use of a comparatively small number of assumptions, models, laws and theories to explain a wide range of phenomena, from the incredibly small to the incredibly large. Physics has helped to unlock the mysteries of the universe and provides the foundation of understanding upon which modern technologies and all other sciences are based. The Physics ATAR course uses qualitative and quantitative models and theories based on physical laws to visualise, explain and predict physical phenomena. Models, laws and theories are developed from, and their predictions are tested by, making observations and quantitative measurements. In this course, students gather, analyse and interpret primary and secondary data to investigate a range of phenomena and technologies using some of the most important models, laws and theories of physics, including the kinetic particle model, the atomic model, electromagnetic theory, and the laws of classical mechanics. Students investigate how the unifying concept of energy explains diverse phenomena and provides a powerful tool for analysing how systems interact throughout the universe on multiple scales. Students learn how more sophisticated theories, including quantum theory, the theory of relativity and the Standard Model, are needed to explain more complex phenomena, and how new observations can lead to models and theories being refined and developed. Studying senior secondary science provides students with a suite of skills and understandings that are valuable to a wide range of further study pathways and careers. Studying physics will enable students to become citizens who are better informed about the world around them and who have the critical skills to evaluate and make evidence-based decisions about current scientific issues. The Physics ATAR course will also provide a foundation in physics knowledge, understanding and skills for those students who wish to pursue tertiary study in science, engineering, medicine and technology. Functions – Scientific, non-programmable, solves linear & quadratic equations. You cannot use classpads (from Mathematics) in Science classes, tests and examinations.